Left: No indicator. Right: Not no indicator. Again, not everybody is currently seeing the new features, so they're either tests or staged rollouts. 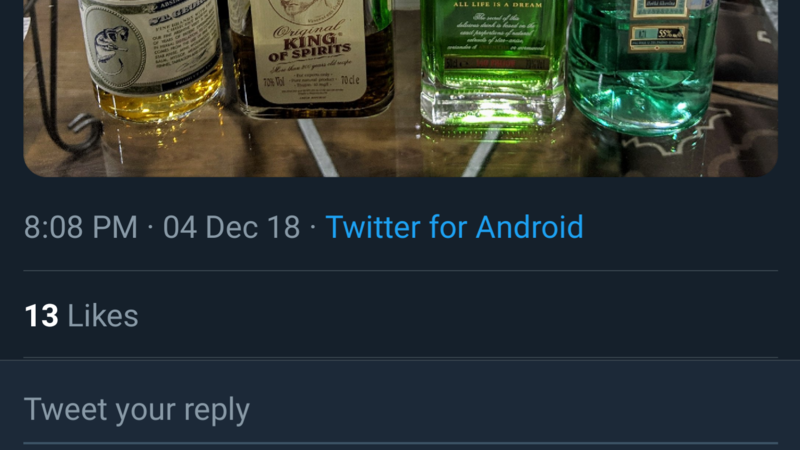 Some users are seeing which Twitter client tweets came from to the right of their timestamps, but plenty still aren't. One tipster with two different Twitter accounts on a single phone reports that one account is now showing what client tweets originated from, but the other isn't. Tapping skips in five-second increments. The new video controls are probably the more useful feature. While playing a video, a quick tap on the left or right side of the screen will skip back or forward, respectively, by five seconds. The YouTube app behaves similarly, although with double-taps and in increments of 10 seconds. Some of us here at AP are seeing this behavior on multiple versions of the app, although others on the same versions aren't. If you're itching for the latest features, just be sure your app is up to date and hope for the best.